Recent scandals surrounding how the world’s largest tech companies and social media platforms make use of the data they collect from consumers have led many people, myself among them, to investigate the devices and digital services they use without a second thought each day. What I and many other folks around the world found was shocking: companies like Facebook, Apple and, perhaps above all others, Google, are collecting huge sums of data from us on a daily basis, even when we’re unaware of it. 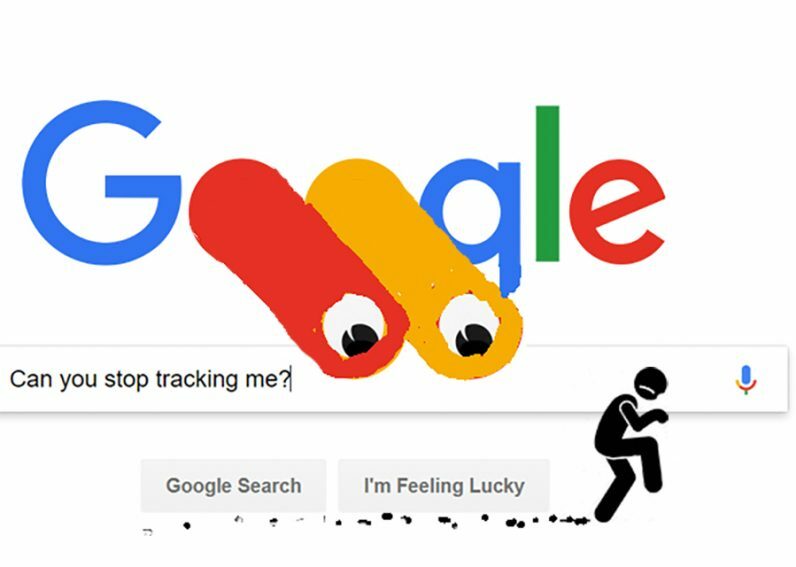 Here’s what happened when I turned off all of Google’s excessive tracking services, and the shocking discoveries I made about what certain companies know about me from my search history and tracking services. One of the first things I discovered when I took a deep dive into the services and products that were tracking my physical location and digital search history and interests is that the companies peddling these products and services know much about us… sometimes. Companies like Facebook and Google can seemingly know much about you at first glance that’s worrying; they may know your political or sexual orientation, for instance, or may be showing you ads about a product you only googled a few minutes ago. Talk about shivers running down your spine. Oftentimes, however, these companies are also completely wrong about you, entirely because the information they collect can be misleading. Internet metrics are frequently hopelessly wrong in their findings; they may indicate that someone of a conservative leaning is really a liberal, for instance, or mistakenly believe you to be a middle-aged female when in reality you’re a teenaged male. This isn’t a baseless theory, either; Facebook has actually admitted that the metrics it provides to publishers and advertisers can be inaccurate and erroneous. When these companies get it right, however, the information they’re collecting on you can be useful in a myriad of ways, many of which are frightening. Sometimes, Google can use your search history and real-time location tracking to recommend restaurants in your area that you have a high statistical probability of enjoying. In a sense, Google may have a better habit of your diet than anyone else – even you. You may not recall what online takeout you ordered in the past three months, for instance, but Google sure does, and you can bet that it’s sending that information to advertisers at Grubhub looking to make a quick buck off your hunger. As a matter of fact, the power of machine learning can be so great that it’s almost dystopian. Algorithmic processes can even be used to determine whether someone is straight or gay on the basis of their photograph, for instance. With this level of power behind it, it’s no wonder that myself and countless others are living in fear of a future where megacorporations like Alphabet and Amazon know every little detail about our lives and use those details to make a profit. As scary as our story is so far, I’m afraid that it only gets worse. As a matter of fact, I’m wholly confident that the power of these companies and the algorithmic processes they use to learn every little fact about you is only going to grow more in size and scope as time goes on. All the while, the people who possess that power – shareholders, CEOs, and tech giants with a concerted interest in mining your data – will likely fight efforts to democratize digital platforms and return the data to the people who it came from. My story began after I read the Associated Press’ blockbuster story revealing how Google is tracking our movements, whether we know it or not, even, and especially, after we’ve told it to stop doing so. I recall experiencing a sensation of utter disbelief when I first saw this; sure, we all know that our data is being mined and collected by some companies and governments, but never to this extent. The fact that Google can continue to track you once you’ve disabled location tracking, for instance, seemed to me to be so outrageous of an injustice that it couldn’t possibly be true. It was, however – and that was only the start. Turning off location services mostly disrupts the user experience. My phone, once a handy tool, was much less useful. After turning location services off, finding my local weather patterns became a hassle. My phone used to tell me where my car was parked, too, and sure enough that’s gone with location tracking disabled. Still, Google was watching; after I visited my local Walmart, my phone dinged with a prompt to rate my shopping trip even though I’d switched location tracking off long before going there. Turning off location services permanently is a rough route, too. After I switched off Google’s prying eyes, my navigation apps were slower to load and vastly more frustrating to use. Where it had once remembered my home address, I had to punch it in each time I used it – a small but tedious tidbit. Say goodbye to local Snapchat filters, too, which vanish in a heartbeat. There’s one huge upside to turning off location tracking on your phone, though – you’ll save tons of battery. My phone seemed to last twice as long without location tracking services enabled, and seemed to overheat at a slower rate, too. Additionally the ads in my various feeds, have become less personalized, something that I’m A-Okay with as a privacy advocate. So, what happened when I turned off Google’s tracking services? Google certainly didn’t stop tracking me, but my smartphone experience fundamentally changed. Like millions of others, I love Google and for years used its services every day, but for as long as the company is duplicitously tracking me and covering this fact up all the while, I’ll be turning away from its services and towards its competitors.